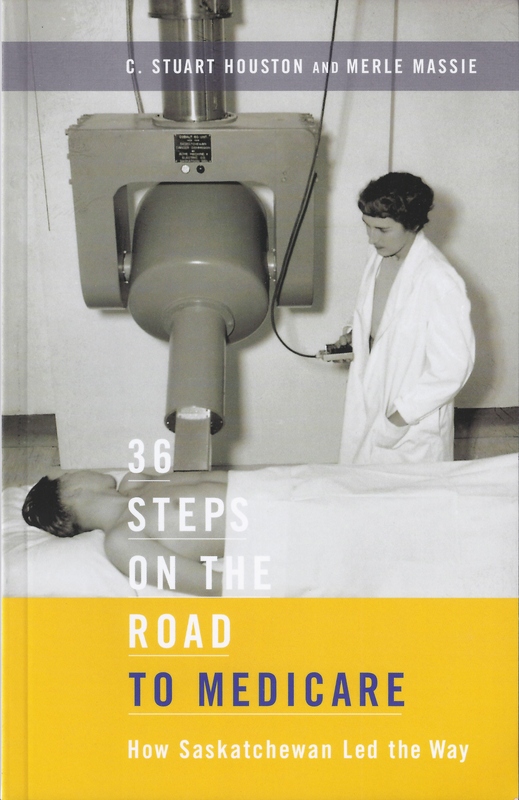 We are so pleased to announce the launch of our new book, 36 Steps on the Road to Medicare: How Saskatchewan Led the Way. The launch is set for Thursday, December 5, 2013 from 7-9 pm. McNally Robinson Booksellers, 8th Street, Saskatoon. 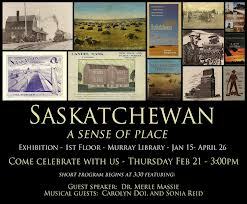 Distinguished former premier of Saskatchewan, Mr. Roy Romanow, will be on hand to make introductions and draw a crowd. Canada lost a legendary Canadian recording artist, Stompin’ Tom Connors, in 2013. I know all the words to The Hockey Song. Bud the Spud takes me to Prince Edward Island’s potato farms and red mud. Sudbury Saturday Night taught me about bingo, bars, and letting loose with friends. And I know that the Man in the Moon is a Newfie. From Newfoundland, of course. Actually, at one point in my life, I thought all these songs were written by Elmer Lammadee, a folk singer and local musician in the village where I grew up. Elmer’s stock in trade was singing Stompin’ Tom songs, complete with cowboy hat, boots, and board to stomp on. Every year at the Paddockwood Queen Carnival in March, Elmer would command the stage (a beautifully sectioned-off end of one of the school rooms, complete with rich purple drapes) to guide us through our favourites. When Connors passed, the local media spoke with Elmer about his tribute legacy: http://panow.com/node/310664. The death of Stompin’ Tom reinvigorated some interesting conversations on the role of music in shaping Canadian identity, the Canadian content laws for radio and television, and the uniqueness of the Canadian story. As a Canadian historian, and one with a particular interest in place, I use music and lyrics extensively in both my personal writing and in my courses. Students love the perspective brought forward by Canadian musicians, from Stompin Tom to Gordon Lightfoot, James Keelaghan, Great Big Sea and The Tragically Hip. I jig to old Rankin Family tunes and I think the live version of Mull River Shuffle is one of the best get-your-heart-rate-up songs ever performed. The Arrogant Worms gave us The Last Saskatchewan Pirate, which has no historical basis but it’s become the provincial anthem. I play it loud the first day of my classes and the students ‘get’ where I’m coming from immediately. The list of Canadian music icons and their music about Canada is endless, and growing every day. I sat in delight last year when David Myles came through Biggar, and sang (among other great songs) Inner Ninja. It was the ‘original’ song without the vocal talents of Classified, but I may have loved it even more in the raw. Although it’s not specifically ‘Canadian’ — no references to hockey, the Maritimes, or Tim Horton’s — the song describes an understated determination that seems, well, Canadian. I do think that I would be the poorer if there were no Canadian content laws governing the airwaves. There is a recognition, a connection, to songs that speak about Canada that resonates with me. Do they make me more ‘Canadian’? Hard to say — I’m not sure that’s possible. I’m so Canadian I bleed red, of course (except when I bleed green, since I live in the green-and-white zone of Riderville, the land of the Saskatchewan Roughrider football team…). But the music gives voice and song and spirit to my Canadian-ness. Funny how that can drive through your soul at the oddest of times. And onto the stage comes a classic Bavarian biergarten band, decked out in lederhosen and dirndls. And when the evening blows open, after the ‘oom pah pah’ polkas that all sound like ‘Roll out the Barrel’ and ‘She’s Too Fat’, the band busts out their best Bavarian Biergarten version of Bryan Adams’ Summer of ’69. That, my friends, is when you feel truly Canadian. “My tap dancing just isn’t good enough,” she wrote. She: my daughter’s high school English teacher. Tap dancing: teaching (to pubescent, smartmouth, intelligent, tired kids at the end of June in rural Saskatchewan). “I remember a staff meeting conversation from some point where you were willing to come in and talk with students.” What’s the topic, Mrs. J? Reconstructing Past Lives. Excellent. That is EXACTLY what historians do, right? So I set off to find out if I could tap dance for teenagers. Just for a couple of hours. After all, I tap dance for University students on a regular basis. How hard can it be? Amid recent media controversy about the conservative federal government looking to choreograph the tap dancing of Canadian history (see here and here), I was curious to find out just what a typical Canadian grade seven student already knew. We decided to focus on source hunting for the first hour. Here’s the question: if you’re writing a movie, let’s say, set in 1931, what do you already know? Great Depression! And we’re off and running. Where do you look for more information? Google (of course. Duh.). Grandparents. Books. My daughter said ‘archives’ but then had to explain what they were, and what kind of stuff is kept in there. She sounded bored and resigned, smart and engaged, all at the same time. Then it was time to get personal. What was going on in our town, Biggar, in 1931? How do you find that out? Was there a newspaper, Mrs. Massie? Yes. Same newspaper we have today, the Biggar Independent. I had borrowed a microfilm copy from the local museum, and brought it in, along with a microfiche reader (which are small, light, and more portable than a microfilm reader, even if you can’t see as much). Is that a television, Mrs. Massie? A really old computer? So I took it apart, and let them look inside. COOL! It’s nothing but a mirror and a light! Really, I felt like a magician. Ta DAH!! Old newspaper, on the wall of the darkened classroom for all to see. I had scanned and digitized it properly, so we put that on the smartboard. And I’d made paper copies. Triple the technology – but the students liked the micro just as well. Front page news: MURDER near Biggar. Really, I hadn’t planned that part. I chose 1931 at random. I chose a date as close to my classroom visit as possible – June 11, 1931. Serendipity pulled us along. Not only was it a murder (manslaughter, actually), but the murderer was none other than Louis Forchetner. He’s not famous. You’ve never heard of him. But I had – because my husband’s grandfather was there when the murder happened, and bought our farm from the murderer. Family lore knew the story, albeit slightly corrupted by the years. At a Farmer’s Unity League meeting (we thought it was a dance), a fight broke out. Forchetner stabbed Reid Hayes, who died in hospital after giving a deathbed statement. The enraged stabber went to jail for five years, in the depth of the Great Depression. COOL! Murders (think CSI Biggar – you think we can franchise that?) pop kids eyes open. But there were other neat stories and advertisements in the paper. “What are piles, Mrs. Massie? Where’s your dictionary? [three minute wait…] OH GROSS!!! !” Did you know that Ogopogo was dead? And that some scientists added green and purple serum to fertilized eggs and came up with green and purple chickens? Grey Owl had moved to Manitoba, and Queen Mary was in her 60s. There were no speed limits on cars in Saskatchewan, but you had to slow down when passing horses, and pull off to the side of the road for hearses.Glaciers were melting. Attendance was down severely at the year-end fairs and picnics. A sense of despair exuded from the paper, but a Mickey Mouse cartoon was at the theatre. Well, why do you think? (Imagine the 13 year old collective BORG scrunching their eyebrows in thought). Answer: there was no TV or internet back then. I nodded my head proudly. Mr. Harper, they’re doing fine. This post was originally published on ActiveHistory.ca 14 May 2013. Over the past two years, I lurked in the halls and wandered wide-eyed through the conferences of my social and natural science colleagues. An interdisciplinary institutional postdoctoral fellowship, funded by MISTRA (The Swedish Foundation for Strategic Environmental Research) and routed through the University of Saskatchewan, ensured my place at the lunch table and at the front of the classroom. So, I’ve spent two years trying to explain how I, as a humanist, conduct my research. More importantly, I’ve noticed, the question is not so much how, but where does that research take place? Since most of my professional work has focused on the 20th and 21st century, I do (on occasion) conduct interviews and focus groups with living people. I even have a working knowledge of qualitative methods, rigour, and the point of statistical analysis. I parlayed this penchant into the postdoc, with good results. But I remain, at heart, a document hunter/gatherer. Working with social and natural scientists, I soon learned that research is about data generation. Set up the research parameters/test/study/measurement/focus group/survey/experiment, in order to generate data. Few, if any, ever work with someone else’s data set. The core concern is to generate something new. That was my first hurdle: what I always thought of as ‘sources,’ now had to become ‘data.’ It’s a bump in the sidewalk that I trip over, every time. No matter. I forge ahead, explaining gently that although I do sometimes generate new data (using oral interview techniques, statistical analysis, or focus groups), I usually work with sources that already exist. It becomes my job to find those sources, hunt and gather, thinking laterally and strategically, sometimes hitting brick walls or large empty chasms where my ‘data’ (sources) should be but are not. Or I am showered in luck, serendipity, and happenstance and find a treasure trove, an untapped new source waiting for me to harvest, like a new bed of sweet grass, or a docile pod of mule deer. But, but, where do these sources exist? Are you talking about libraries? Confusion reigns, for libraries, of course, contain outdated data. If it’s in a book, it’s too old. Anything more than five years old is virtually unusable. (Of course, we all recognize the deliberately obtuse generalization here – many social scientists regularly work with similar sources and data sets. Natural scientists, though, perhaps not so much). No. My data/sources are to be found in archives. Archives? What, exactly, are archives and what kinds of information do you find there? And that’s how I twigged onto a new way of explaining where I conduct research. An archive, I now explain, is much like a lab: laboratory space along the lines of the Canadian Light Source Synchrotron at Saskatoon or one of the Toxicology labs or a soil science lab or…. A lab has certain physical requirements that are conducive to research: it requires physical space with heating, light, and custodial services; equipment (shelves, tables, chairs, finding aids and guides, archival quality storage boxes and containers, microfilm readers, lightboxes, cotton gloves, and pencils instead of thermal analyzers or microcalorimeters or…); it needs trained staff (archivists); and it houses raw materials (archival documents, which range from photographs to text to sound recordings, collected over time). The questions that I, as a researcher, bring to the archive are what guide me through my research process, in the same way that another researcher might ask questions and conduct experiments using the materials/equipment found in a lab. Different researchers posing different questions use different equipment and materials. Each archive is slightly different in its materials and equipment, just like no two labs are exactly the same. Presto pow! Lights on, understanding, and we’re back on equal footing. (There remain big questions surrounding how I do research and if it is objective, verifiable, and replicate-able, but those are larger questions that might never be solved, as they stand at the dividing line between humanities and natural science research). Why is this important? I call on all of my fellow humanists and social science researchers who use archives to co-opt this terminology switch, and broadcast it freely. Because I believe that this terminology switch might help save our archives from folding under the collective weight of government and institutional non-support. At a time when investment in science-based laboratory and experimental research is growing (witness the Global Institute for Water Security, and the new Global Institute for Food Security at the U of S), archives funding is cut. We can stop this. Archives (which collects a record of anthro-centric activity reaching back through time) is the laboratory with which to build research that changes the way our world works and thinks about itself. In fact, I charge you to find another lab that has supported an equal range of research depth and breadth and temporal scope. Where would we be in our knowledge about residential schools, lesbian and gay rights, health geography and poverty, First Nations land claims, war activities, medicare, social protest, and climate change without archives? Accessed by researchers not only in history but in archaeology and anthropology, art, literature, science, technology, sociology, linguistics, education, law, commerce and business, industrial development, mining, resource management, First Nations and Metis studies, institutional foundations, governance and government, medicine and nursing, engineering and agriculture, archives reflect how we as humans make decisions, and what the consequences of those decisions have been. So let’s make one easy switch: the next time you visit an archive, think of it – and talk about it to interdisciplinary colleagues, institutional leadership, and your MLA and MP – as a laboratory. Co-opt the language that is already implicitly understood – and funded.